← Day 282 – Hambing it Up! It’s really heating up and I thought I was ready today for my first bare legged day. I always find it amazing during the transition from winter to summer that we ever felt cold enough to wear layers of wool and then in the summer to winter shift I can never believe a tiny sundress was ever enough. Brisbane is in the full swing of spring with highs of 35 and lows of 15, hot one day, mild the next. But enough about the weather, you’d think I was lost for conversation when really all that needs to be said is: it’s the right weather for sparkly ballet flats and that means … perfect! 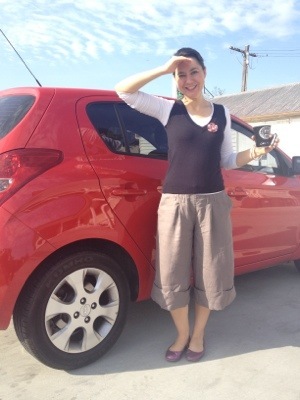 Posted in Aussie Designer, Cotton On, Dogstar, fashion, work, Zara and tagged culottes, spring. Bookmark the permalink.